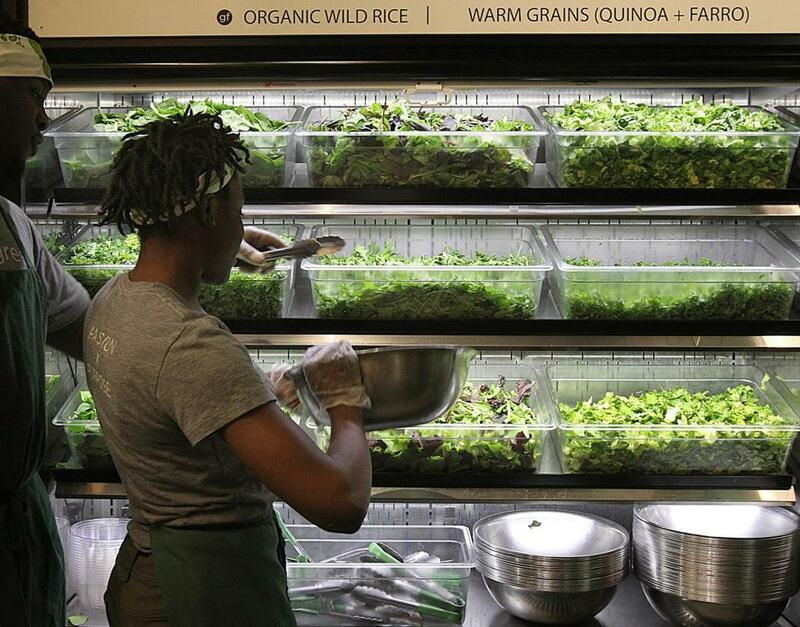 The many options for greens that form the salad base at Sweetgreen. I have work to do, kids to retrieve from camp, and a credit card bill to pay. But first I need to name my salad. No, really. I’m on Sweetgreen’s app, contemplating lunch, and it’s asking me to christen my meal. “Suzy,” I type, choosing the moniker I would have used if I’d had a daughter instead of sons. I click ahead and begin composing my baby — excuse me, salad — feeling rather invested in the experience. I can choose a base green, grain, or a mix of both by tapping ingredient photos that rival anything in Food & Wine. Next, a topping. Spicy quinoa? Almonds, perhaps? I tap their images, inviting as a toddler’s first picture book, and soldier on. Next, it’s time for premiums. Surely Suzy deserves a gourmet accessory, price be damned, and so herb falafel it is. Finally, a scratch dressing: carrot chili vinaigrette. My baby rings in at 480 calories and costs $8.60, and I have more autonomy over her than either of my children. Welcome to the era of hyper-customization, where every diner can be Mario Batali, at least for a few minutes. 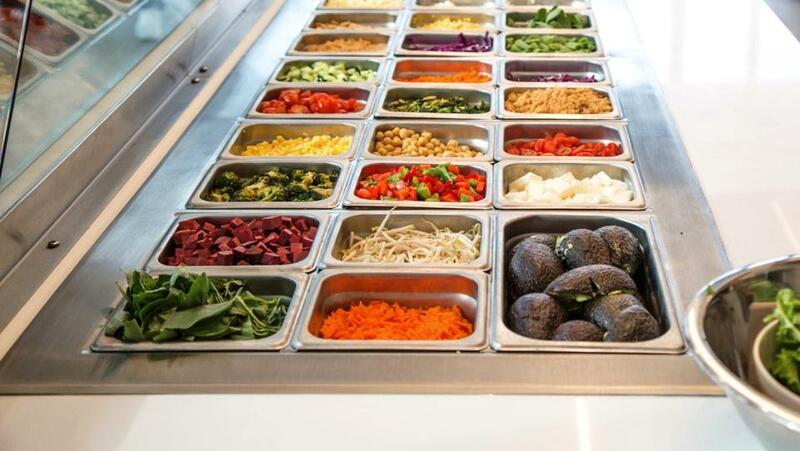 And at these fast-casual mix-and-match palaces, from Chipotle to Dig Inn to Sweetgreen and honeygrow, everyone’s a salad (or burrito, or bowl, or sandwich, or stir-fry) sorcerer. Salad mixings at the new Sweetgreen in Lynnfield. The allure boils down to self-esteem, says Scott Davis, an early pioneer of the fast-casual space, which blossomed as dining out grew prevalent in the 1980s. As the chief concept officer for Panera from 1987 until 2014, he was charged with creating a dining experience that was efficient, inviting — and validating. “People wanted to feel special. They didn’t want to deal with the lowest common denominator,” he says. “They wanted the service system they were familiar with, like McDonald’s, with quality food and some self-esteem. People wanted high-self-esteem experiences,” he says. What is a high-self-esteem experience, exactly? An extension of yourself and your own good taste. Sleek design. Soothing music. And, as food awareness grows, chalkboards that announce the provenance of your kale, sprouts, and tomatoes — and let you combine them in psychologically gratifying ways. The Culinary Institute shouldn’t start handing out free tuition just yet, though, because not everyone is cut out to design their own dinner. 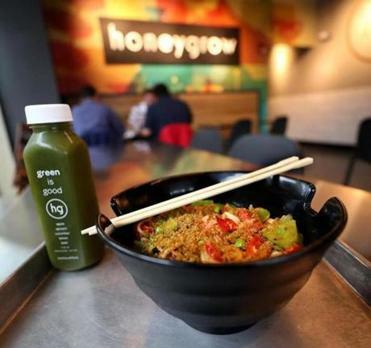 Honeygrow, which debuted in the Fenway in June, learned this the hard way. Here, diners customize meals at a touchscreen kiosk, selecting sustainably sourced (and lusciously photographed) meats and fresh produce for salads and stir-fries. Maine lobster stir-fry at honeygrow. CEO and founder Justin Rosenberg instituted a “no cheese in stir fry” rule years ago after one creative customer opted for mozzarella cheese in her meal. “It was like a chemical reaction: the cheese, the wok, a great plume of smoke. The smell! I threw the wok out. She inhaled it and thought it was amazing, and I said, ‘Well, maybe you like it, but the smell isn’t worth it,’ ” Rosenberg recalls with a chuckle. After that fiasco, he streamlined his ingredient list and enlisted culinary director David Katz to foolproof the menu. The combinations might be endless, maybe even unusual — but none will lead to gastronomic disaster. Dig Inn, which opened its first Boston branch a year ago, calls its model “fine-fast.” It serves about 300 customers per hour, Weingarten estimates, who hop in line and choose between several bases, 12 hot or cold vegetables — “even something as simple as grilled peaches kissed with olive oil, lemon, and sea salt,” Weingarten says — and what he describes as “mindfully sourced protein,” such as herb-grilled steak or wild sockeye salmon. Top it with pesto or maybe homemade Sriracha. 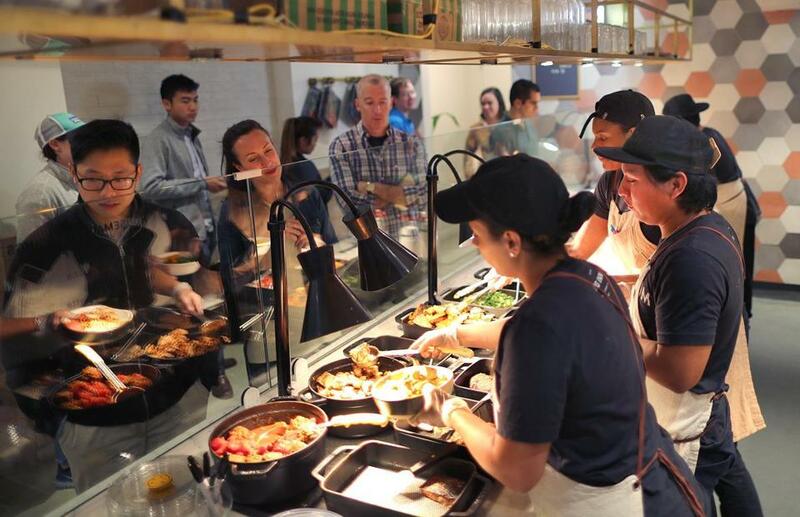 Customers wait in line as their bowls are prepared at Dig Inn. Nobody’s going to tell you that the chef has a certain idea and, well, your pesto-splashed salmon just isn’t part of his vision. In an era where traditional restaurant chefs sometimes frown on making substitutions, the new generation of fast-casual is a culinary wild west where nobody will scoff if you want a big ol’ bowl of quinoa, shrimp, wasabi aioli, pumpkin seeds, and sundried tomatoes. It’s the culinary equivalent of a teenager left home alone for the weekend with an unlocked liquor cabinet. Sweetgreen takes a similar approach. The salad and grain-bowl chain employs a one-on-one service model, says cofounder Jonathan Neman, approximating the care and tending available at sit-down establishments. “Instead of an assembly line, one person makes your salad. We focus on storytelling. And there’s this open kitchen, this theater,” he says. This empowering technique is working, apparently: Dig Inn will open a third Boston location at the Prudential Center this fall, and Sweetgreen operates 10 locations throughout the area, with several more slated for this year, including branches at Post Office Square and 60 State St. Honeygrow will also open more Boston locations by the end of the year. Traditional restaurants are trying to bridge the gap between futuristic fast-casual and old-fashioned customer service with innovative service models, too. Take Eventide, the cult favorite Portland, Maine-based oyster bar primed for a fall opening in the Fenway. This branch will offer counter service but will employ roving waiters to support guests who require bivalve replenishment or a wine refill, a concept chef-owner Andrew Taylor calls “continued service.” Servers are trained to spot cues — a nearly drained beer, a customer craning their neck toward the counter — and intervene to fetch whatever’s needed. “We want a busy software engineer to get on her phone and place an order for a fish sandwich, grab it, and go, but we also want a family of four to be able to order at the counter and enjoy a nice meal with their kids at the pace befitting a family,” Taylor says. Today, former Panera pioneer Davis runs CoreLife Eatery, an upstate New York-based chain specializing in build-your-own broth bowls. His restaurants host yoga classes and run social media contests where users can rank one another’s creations, so that the “brand resonates with the customer beyond the food experience,” he says. And that’s just it: Sure, the food is important, but ego matters, too. Not the chef’s: Yours. “We have contests to engage people around their ‘best bowl.’ People have a sense of pride. It’s their own personal masterpiece,” Davis says. Or, in my case, the daughter I never had.